HANGAR is an Artistic Research Center located in Graça, Lisbon. HANGAR includes a center of exhibitions, artistic residencies, and artistic studies. It is also a center of education, talks, and conversations that unify geographic locations, cultures and identities and stimulate the development of artistic and theoretical practices. HANGAR also seeks to organize and produce the development of artistic inter-disciplinary projects and visual arts projects that focus on Lisbon as a central backdrop for contemporary culture. 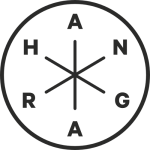 HANGAR is an independent space managed by artists and curators. It is a place for experimentation, research, and reflection artistic practices. This space is a point of convergence of various areas of contemporary artistic processes. From April 1st to June 30, 2019, I will be working as a residence-artist in a Hangar studio in Lisbon, Portugal. This entry was posted in New on 15/02/2019 by Frans.